Congratulations. You’re the proud owner of a new (or new to you) piece of compact equipment. 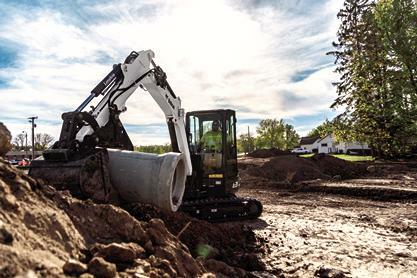 Every machine comes standard with a bucket – a valuable tool, but one that isn’t built for all the work you do. Different work requires different tools. We make more attachments for your compact equipment than anyone in the industry. 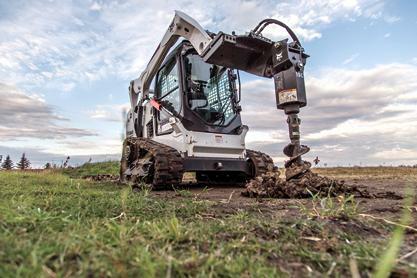 There are more than 80 genuine Bobcat® attachments to choose from. That’s a good problem to have. But it’s a problem that can leave you wondering where to begin. To help you get started, we identified the top attachments in four major industries – construction, landscaping, grounds maintenance and agriculture . Look at your industry list and see what companies like yours are using to boost their productivity. Equipment quality, productivity and versatility are necessary for commercial, residential, infrastructure or utility contractors. Attachments need to be as tough as your machines to withstand whatever comes your way. You don’t always have a large fleet at your disposal, so versatility is important when you are expected to be a jack-of-all-trades. You are always looking for new ways to expand your business and your services. Pairing your compact equipment with a variety of attachments can improve ROI and efficiencies. The right attachments help you equip one machine to handle a variety of tasks – planting trees, clearing land, installing irrigation lines, creating paths, placing landscape materials, moving pallets or removing snow. Whether you’re running a beef-cattle, dairy or row crop operation, making the most of every tool on your property is vital. 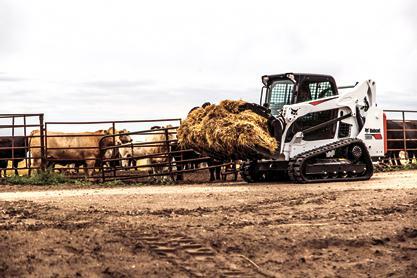 Feeding livestock, mending fences, removing snow, managing manure – you demand versatile equipment that can stand up to those never-ending chores. It takes a flexible set of attachments to stay profitable year-round. Especially up north where the weather is unpredictable. Whether you’re clearing snow in February in a retail parking lot, mowing lawns in June on a corporate property or raking leaves in October on a university campus, the right lineup of attachments can keep your equipment productive in every season. These are industry lists – starting points to think about which attachments make sense for the work you do. But every business and market is different. 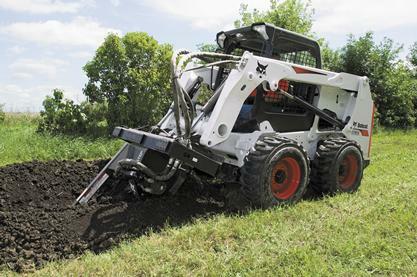 Search all Bobcat attachments to find the best tools for your everyday tasks. Or talk to your dealer for insight into the top attachments in your neck of the woods.